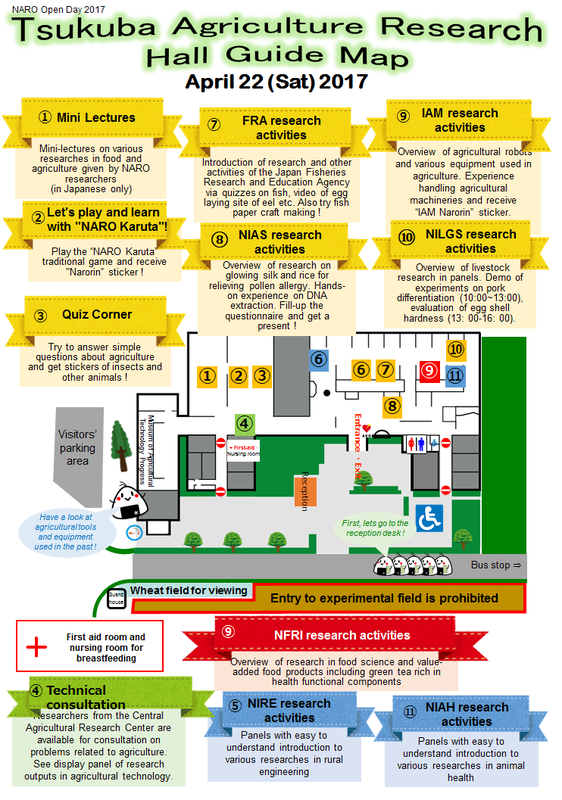 As a part of the Science and Technology Week of the FY 2017, several institutes and research centers of the National Agriculture and Food Research Organisation (NARO) organized the Open Day 2017 at the Tsukuba Agricultural Research Hall (TARH) on April 21 (Fri) and April 22 (Sat) with various exhibits, mini-lectures, hands-on experiments etc. 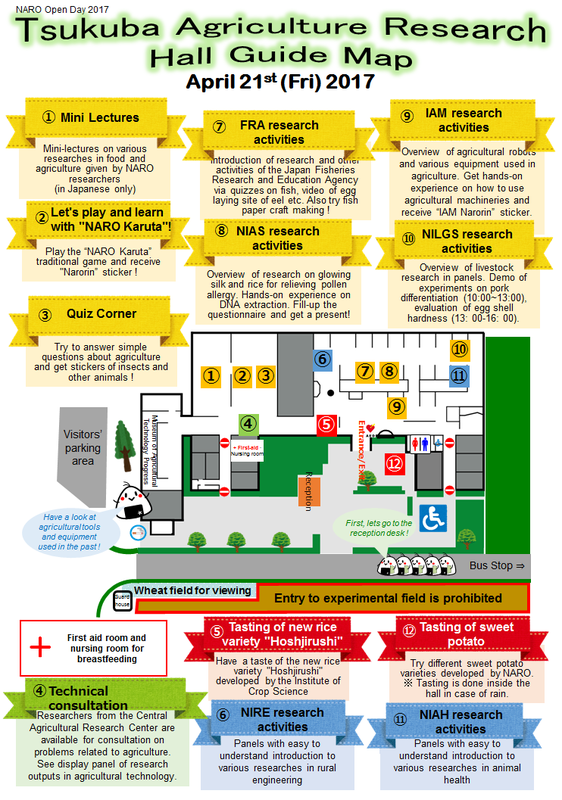 The exhibitors and event organizers included the NARO Headquarters, Central Region Agricultural Research Center, Institute of Livestock and Grassland Science, National Institute of Animal Health, Institute for Rural Engineering, Institute of Agrobiological Sciences, Institute of Agricultural Machinery, Institute of Crop Science, Food Research Institute, and Japan Fisheries Research and Education Agency. 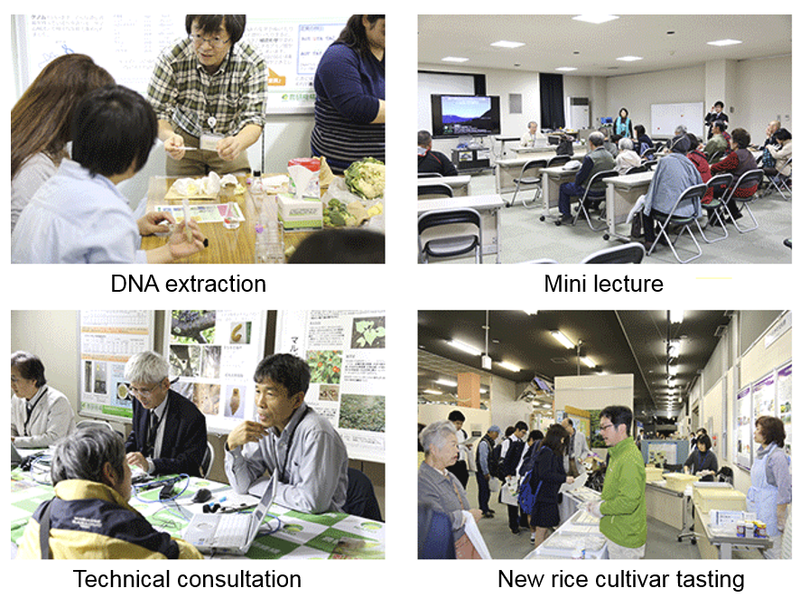 A total of 1,333 visitors came on April 21 and 1,000 visitors on April 22.